Wow! Did you hear about the most recent news from Karnataka Public Service Commission? Yes, you are thinking absolutely right. 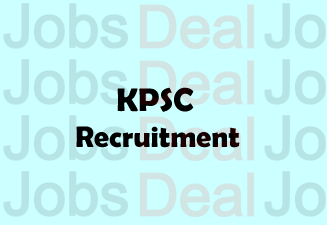 There is a new job notification under KPSC Recruitment 2017 and people have been called for the application of Assistant Engineer (AE) and Junior Engineer (JE) Posts. Reviewing the KPSC AE/ JE Notification 2017 is something you must keep in mind; otherwise, you will not have complete knowledge of what exactly is mentioned in the notice so know the steps to follow for application procedure. But, this does not mean that this page is not worth reading till the end. Of course, it is worth giving a try to apply for Karnataka PSC AE, JE Vacancies which is exactly we are going to discuss in this article. As per KPSC AE, JE Notification, the qualifications required to apply online are different and that is the reason we have separately given the qualifications in this informative article. So, whichever post you are interested, just take your time and know the fee to submit. Importantly, keep the dates in mind because they really matter when it comes to filling out a job application form. Assistant Engineer – To apply for Assistant Engineer, the age must be 21 years to 35 years. Junior Engineer – For Junior Engineer post, you must be aged from 18 years to 35 years. AE (Civil, Mechanical) – There needs to be a Degree (Civil or Mechanical) held by the applying contestants. You may also check out the following information for knowing other required documents. JE (Civil, Mechanical) – You must be a Diploma holder in Civil or Mechanical Engineering on the basis of requirements meant by the Department of Technical Education (DTE), Karnataka. Selection Mode: When it is about the mode of selecting suitable candidates, notification has the following rounds mentioned in it. Application Fee: The General/OBC candidates (General Merit) have to submit Rs.300/- as an application free, whereas General/OBC postulants (2A, 3A, 2B, 3B category) have to pay Rs.150/- and those who are from reserved castes i.e. ST/SC/Ex-servicemen are not to pay anything. If you get selected for AE post, you will receive Rs.22800-43200/-, but if the department chooses you for the post of JE, you will get Rs. 17650-32000 /-. KPSC AE, JE Syllabus & Exam Pattern: You can easily download the syllabus for these AE and JE posts using the link beneath. At the beginning, you need to visit http://kpscapps1.com. From the site, you will see different links available there. Find the suitable link for your Notification or get the direct link beneath. Fill up the required information before submitting the form. Pay the meant application fee. Before publishing your post online, you should read it so to improve what you have already done. If you still have questions about KPSC Recruitment 2017, feel free to contact us and we will reply you as soon as possible.